HARPSWELL — Just 45 minutes from Portland, the peninsula and islands that make up Harpswell are becoming a day hikers’ playground. The land, protected by the Harpswell Heritage Land Trust in this developed area, is spread across some of the most narrow stretches of land along the Maine coast. Yet the land trust here is slowly cobbling it all together – as much as 335 acres in preserved land and 1,102 acres in easements – into a trail network. The Harpswell Heritage Land Trust recently acquired land along Curtis Cove. It will soon build trails leading to some of the most picturesque views along the Maine coast. 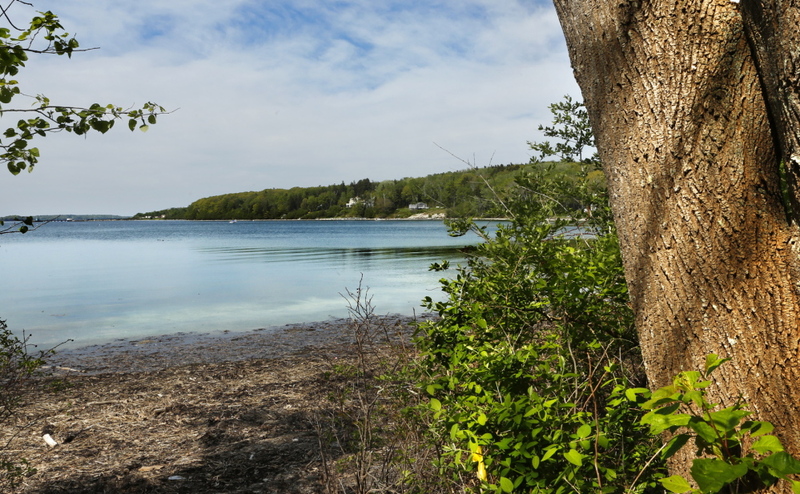 Sunday, in celebration of National Trails Day, the Harpswell Heritage Land Trust is challenging hikers to explore eight waterfront trails – a total of 10 miles of hiking. But the Harpswell Hiking Challenge is about more than getting people outside. It’s a grassroots effort to spread news about this trail system that continues to grow. This weekend, the land trust’s newest trail – the Widgeon Cove Trail – is opening to the public. And this summer, the newest preserve – the Curtis Farm Preserve – will get a sign to officially welcome hikers, birders, naturalists and swimmers. These are just two of the recent trail and land acquisitions by the small land trust. The Widgeon Cove Trail is just over a half-mile in length with quiet, sweeping views of the wild coastline. “It’s the first time the public has had access to this cove,” said Reed Coles, the land trust executive director. And a few miles down the road sits the newest preserve. The Curtis Farm Preserve is an 86-acre preserve that the land trust began piecing together in 2011 and completed last year. 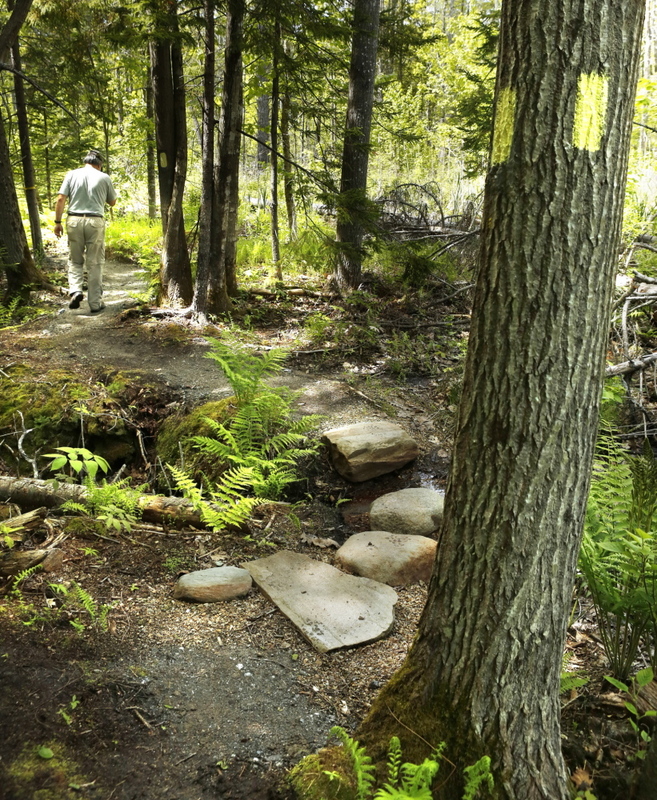 It offers a wide variety of habitat, and is one of the biggest tracts of undeveloped land in the region, said Harpswell forest ecologist Rob Bryan. Bryan, who served as Maine Audubon’s forest ecologist for 13 years, said the Curtis Farm Preserve is unique in terms of the diversity of habitat with old and young forests, wetlands, a large milkweed-rich field and two tidal coves: Basin and Curtis coves. On a stretch of coastal land that is no more than a half mile in places, the range of habitat here draws in a variety of wild animals and bird life. Bryan said it is teeming with deer, wild turkey and woodcock. Two weeks ago, avid birder Delia Guzman of Brunswick counted and reported 45 species during a brief outing at the Curtis Farm Preserve. Guzman, who once lived in the world-renown birding territory in Texas’ Rio Grande Valley, said the birding opportunities here are exceptional. There are no trails at the Curtis Farm Preserve yet, or even a definite plan for where future trails might lead. But Harpswell’s land trust director already is proud of the new preserve. “Absolutely this could be a flagship preserve. This is one of the largest (undeveloped) parcels in Harpswell,” Coles said. And across many of the narrow slivers of land and islands that make up Harpswell a series of trails is unfolding. Consider a day tripper taking the Casco Bay Ferry stop in Harpswell. You could walk or cycle less than a mile on Bailey’s Island to the coastal trail called “Giants Stairs” that looks out on the force of the Atlantic Ocean. And from there, travel by bike five miles to the Devil’s Back wooded trail, and explore coastal views in a forest. Another two miles up the road is a very different experience at the 2.3-mile Cliff Trail loop, which affords views over Long Reach. “We are working hard on all fronts to sell Harpswell as a recreational destination,” said Don Miskill, one of Harpswell’s most active trail builders.